When City Girl Barbara Stcherbatcheff first stepped into the Square Mile she had no idea of the fight for survival she would face over the next five years. But despite lap dancing clubs and million dollar losses; divorce in the City and the worst recession since the 1930s, City Girl was still standing. She'd taken on the boys at their own game - and won. Fresh from writing thelondonpaper's City Girl column, Suzana S. gives us the inside track on life in the financial capital of the world. This is her story. 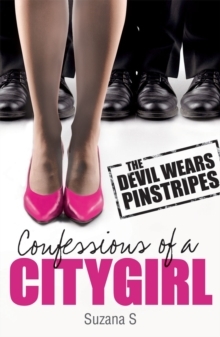 Confessions of a City Girl tells us what really went wrong - and explains why girls are the only ones who can put it right. The trade mark 'City Girl' is used under licence from NI Free Newspapers Limited.